Stonepile Gap may look like a pile of stones, but there is much more to these rocks than meets the eye. As legend tells it, these rocks mark a grave of a Cherokee woman named Trahlyta who was told to drink from a nearby spring (Porter Springs), and (depending on the story) either the Mountain Medicine Man or the Witch of Cedar Mountain would make her more beautiful with every drink. Rumors of her beauty led Cherokee warrior Wahsega to ask for her hand, but she rejected him, so he kidnapped her and held her a prisoner until she wasted away. As she died, she asked to be buried in the mountain where strangers could pass by and drop a stone on her grave, and she would grant them the wish of being beautiful and happy. 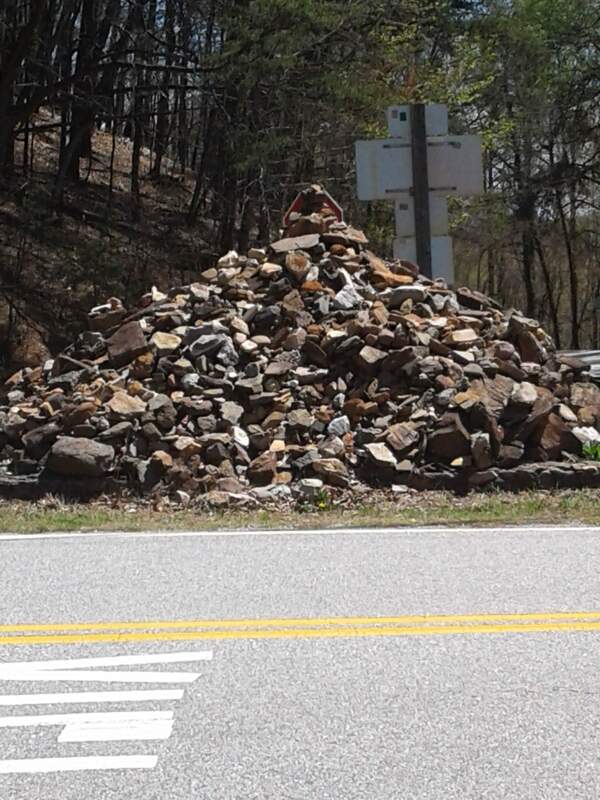 According to reports, twice when people tried to move the pile of rocks for road work, someone has died in an accident. A beautiful but busy location.